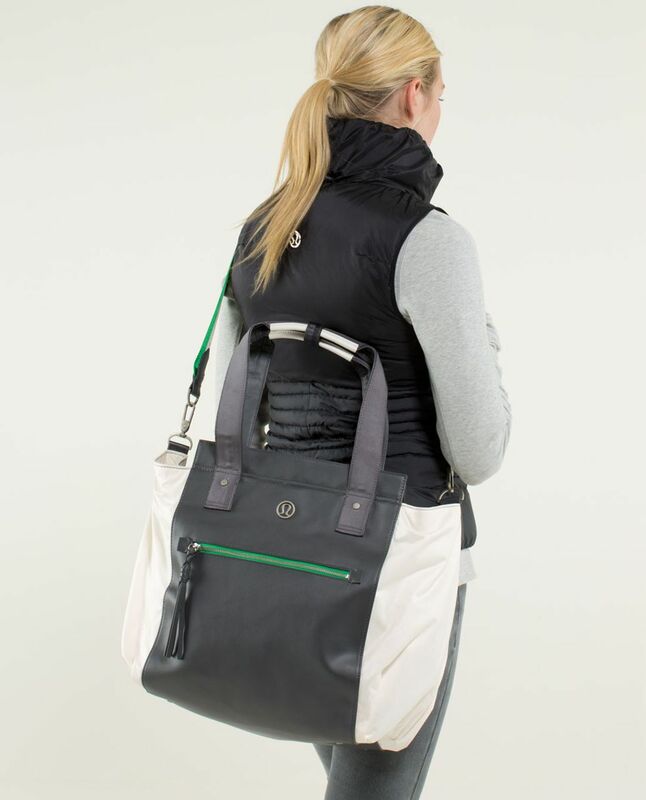 Some days we carry a little, some days we carry a lot. 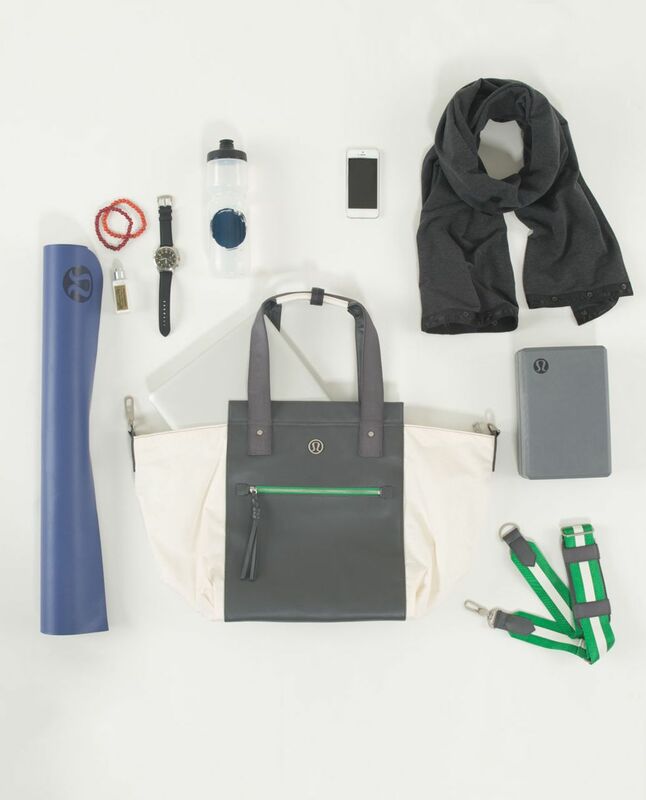 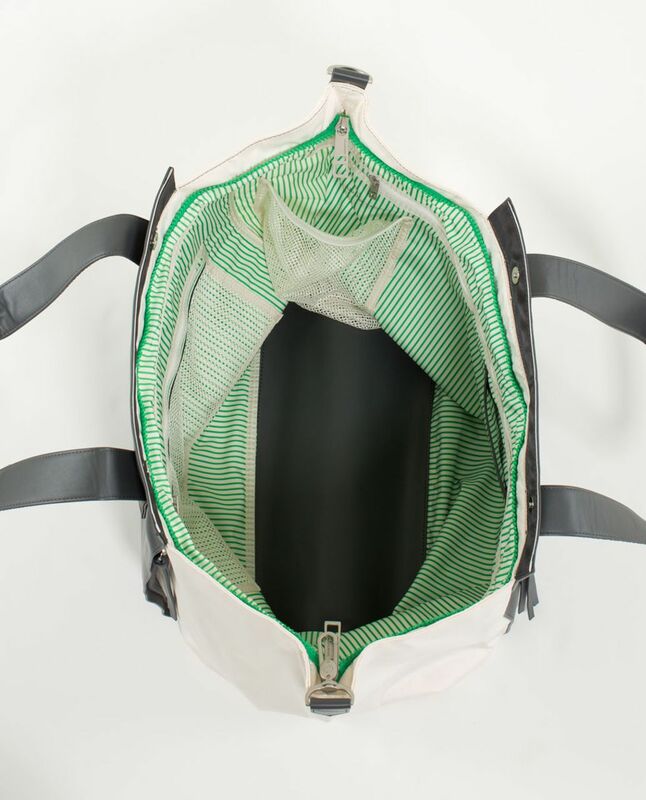 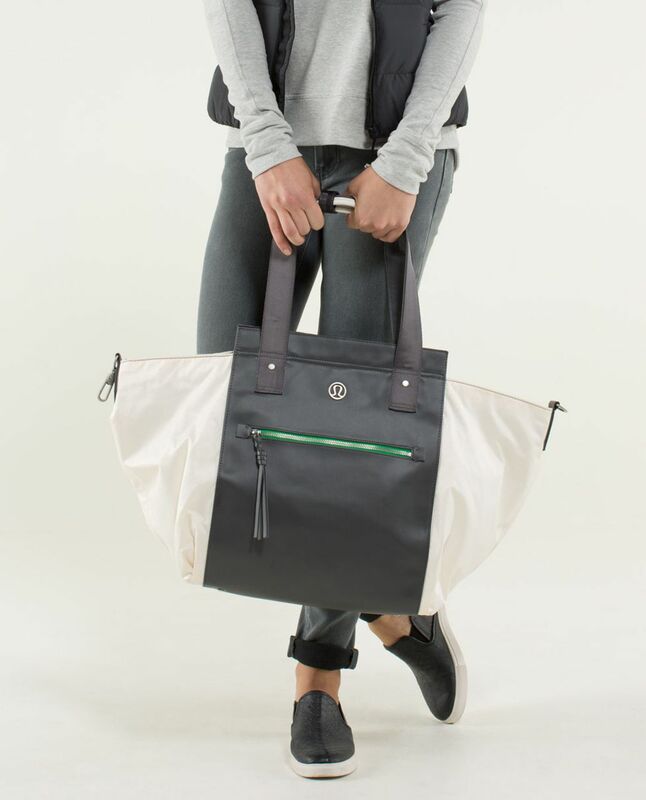 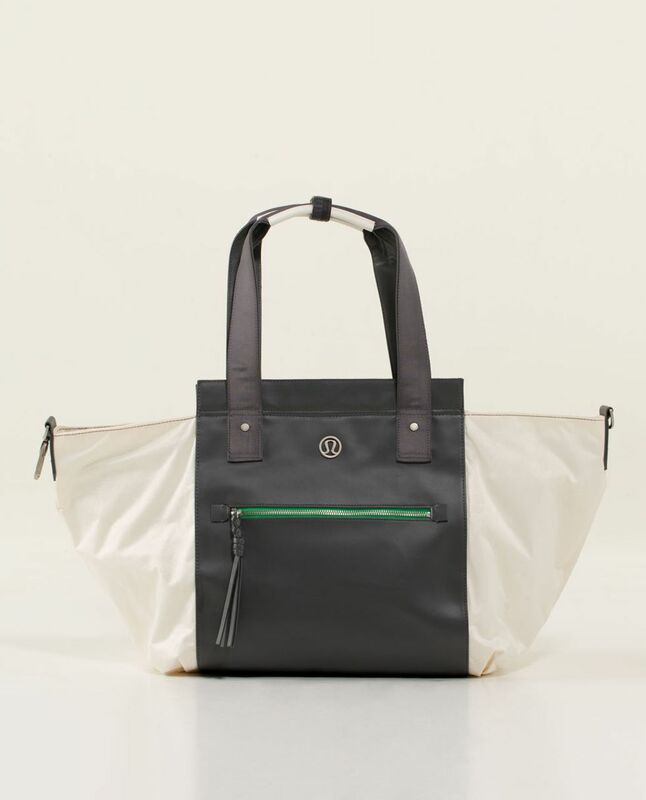 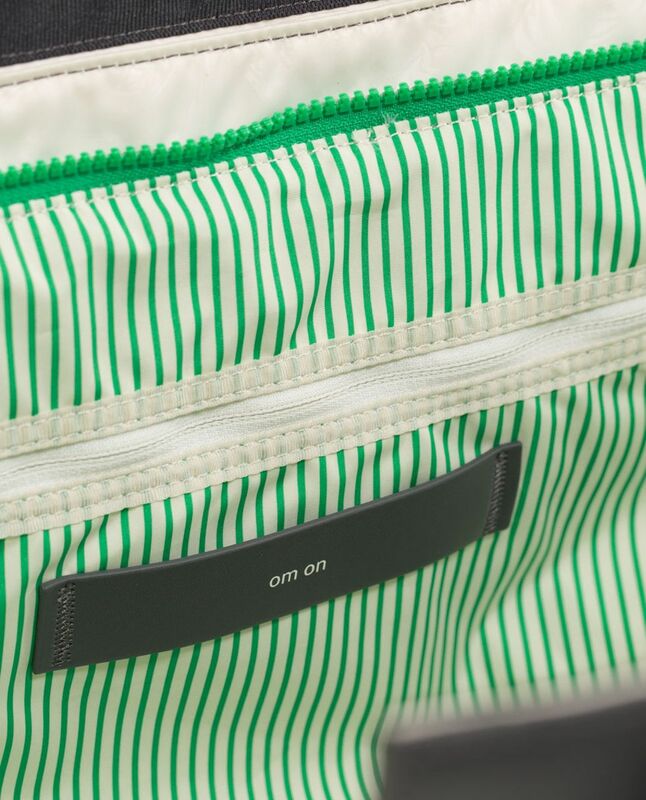 We designed this roomy, semi-structured tote to hold what we need. 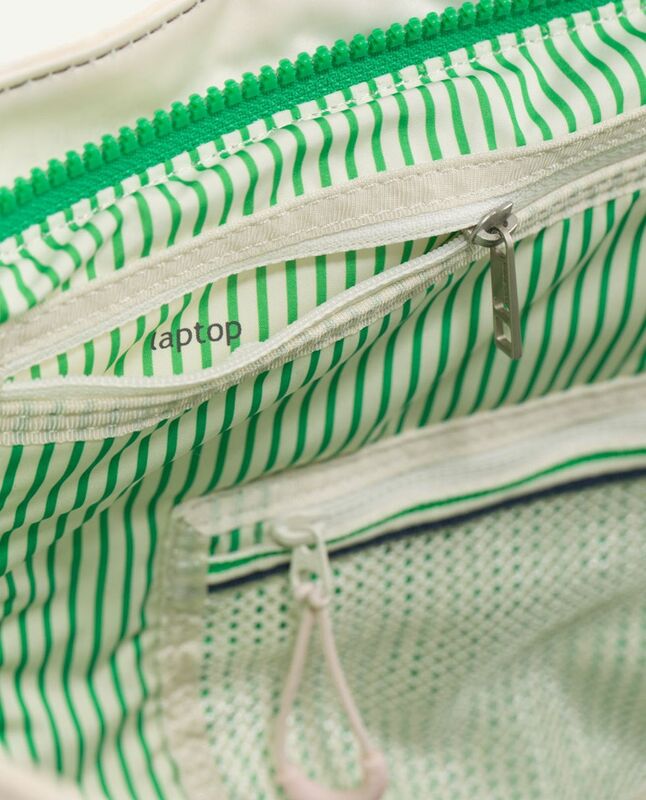 The soft polyester sides expand so we've got room for a full day's gear or can be tucked in when we have less stuff. 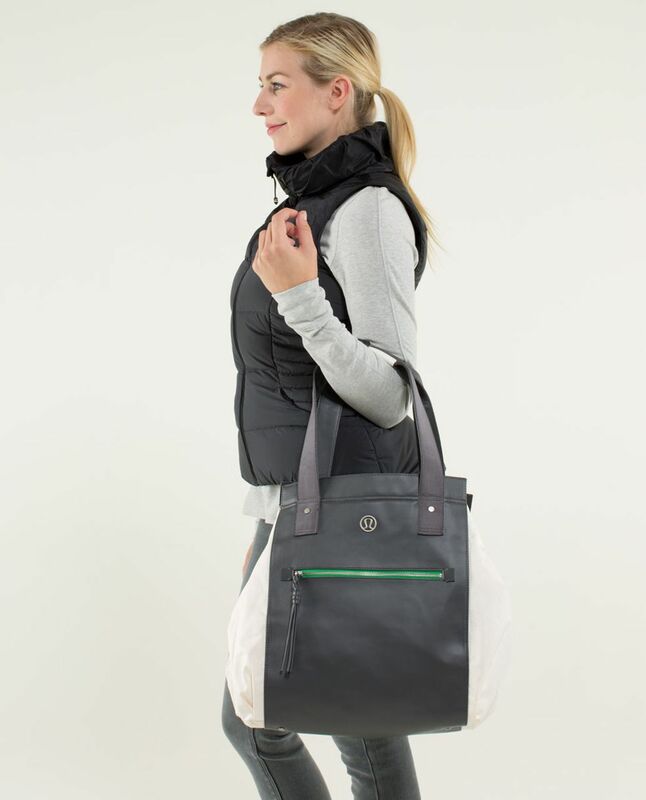 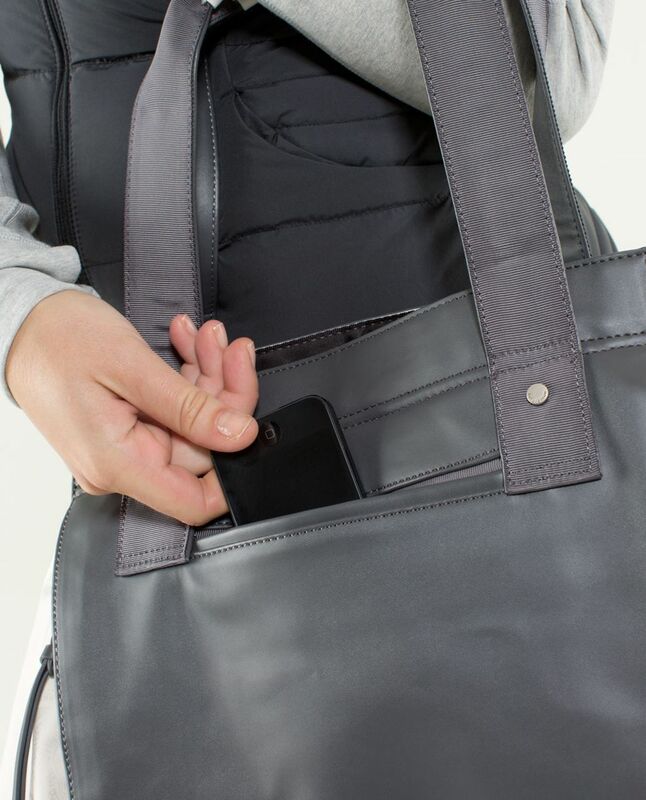 A subtle, kangaroo-style pocket holds our mat so getting from the studio to 'om is a breeze.